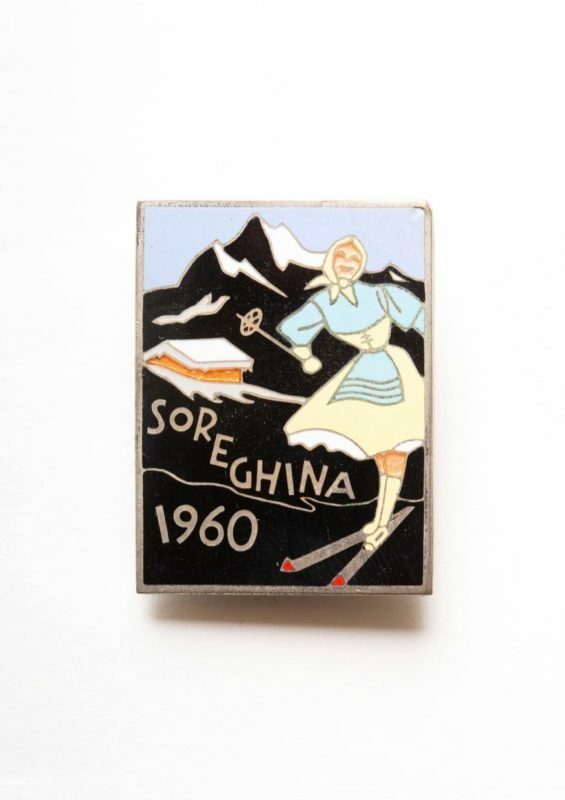 Snow peaks, fancy shelters and hotels and smiling skiers are key actors of the fourth issue of 99objects across the enamelled surface of badges and pins of the ’30 and ’60. 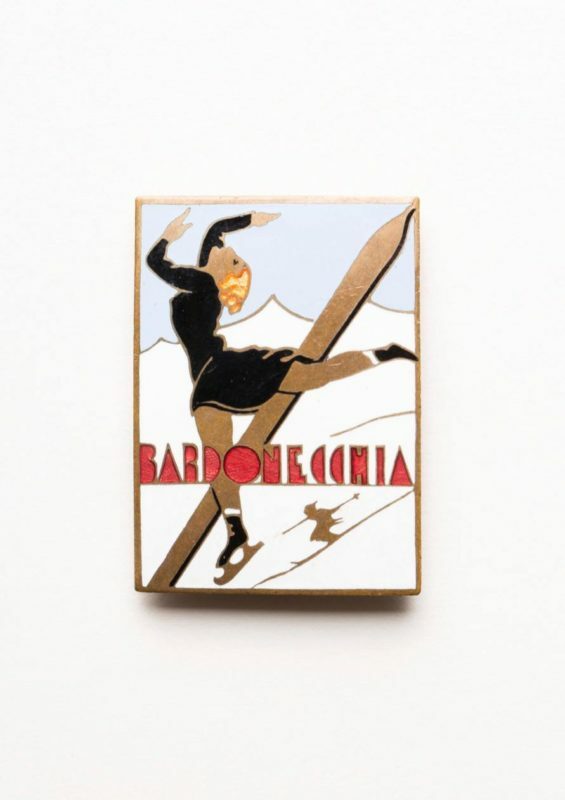 The use of touristic badge spreads in Italy at the beginning of ‘900. 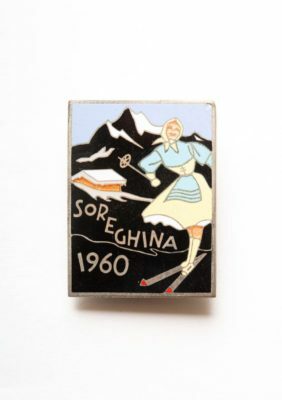 In Austria and France this kind of souvenir is already known from the ‘800. The first ones were made as mementos of hotels, shelters and locations with clear intent to promote them as the adhesive labels stuck to the suitcases did, and postcards as well. 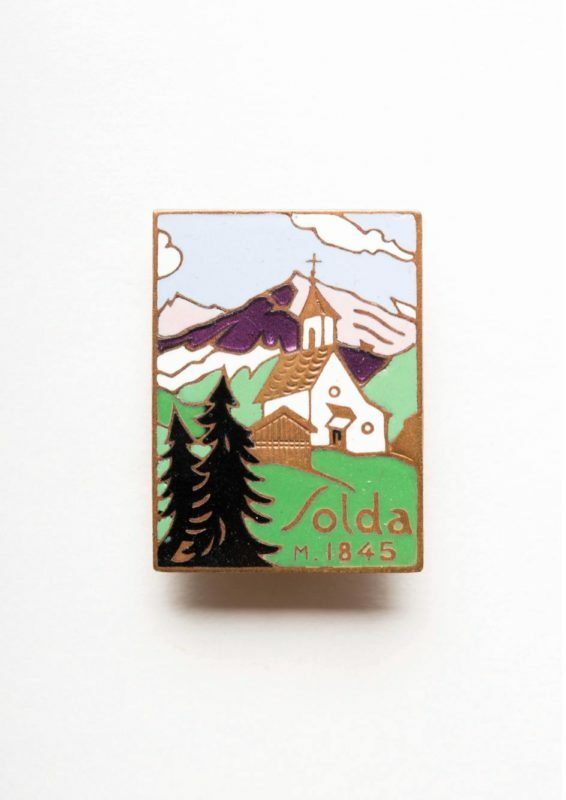 It is no coincidence that many badges of tourist locations, largely alpine, reproduces postcards of the same views or the most significant glimpses from paintings and commercial sketches. After an initial phase which will see the experimental adoption of heterogeneous materials (e.g. 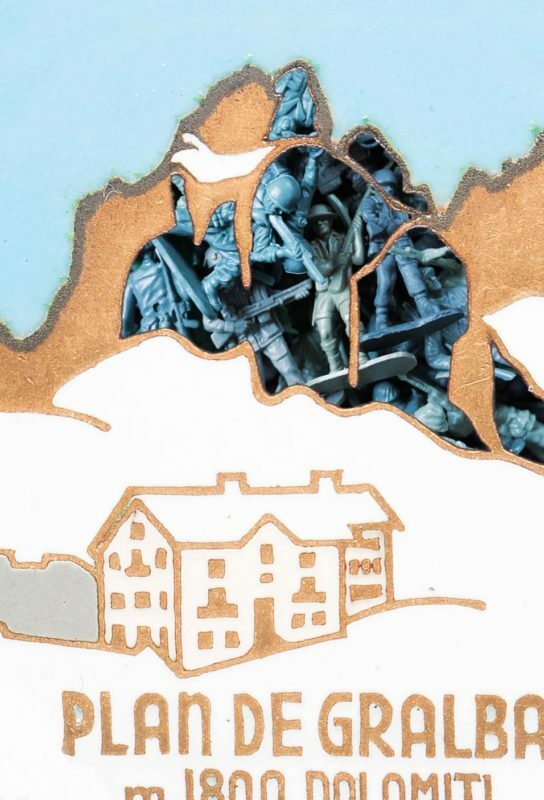 brass sheets, leather), the touristic badge manufacture takes the technological and consistent form of the military badges; it means a brass minted base of about 1 millimeter of thickness, with embossed outlines to separate the colors and engraved mottos. The staining, polychrome, is obtained by vitreous enamels which are melted across the embossed outlines and baked at high temperature in furnaces like the ceramic. The glazing is hand made by expert artisans. 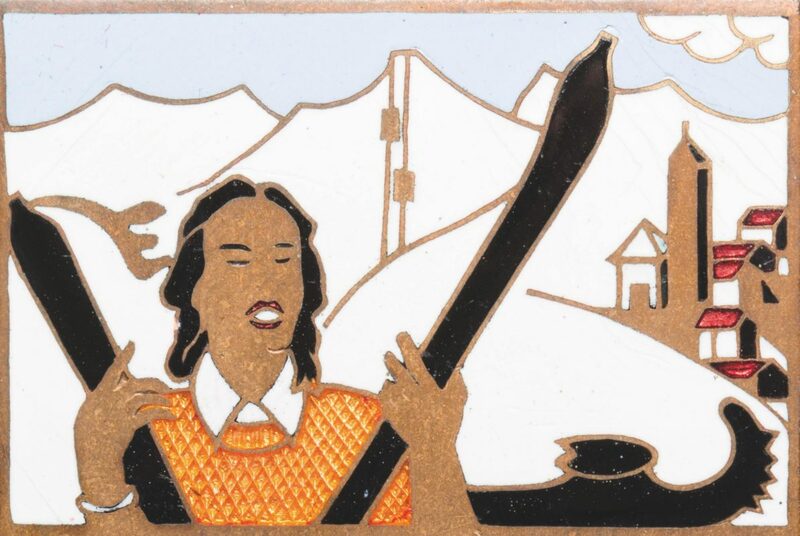 Few badges are brush painted on a thin layer of kaolin with metallic pigments coated by glossy crystalline, such as miniature. After the baking, the badges are refinished with the grinding, the welding of the pin and, finally, coated with golden or silver galvanic bath. 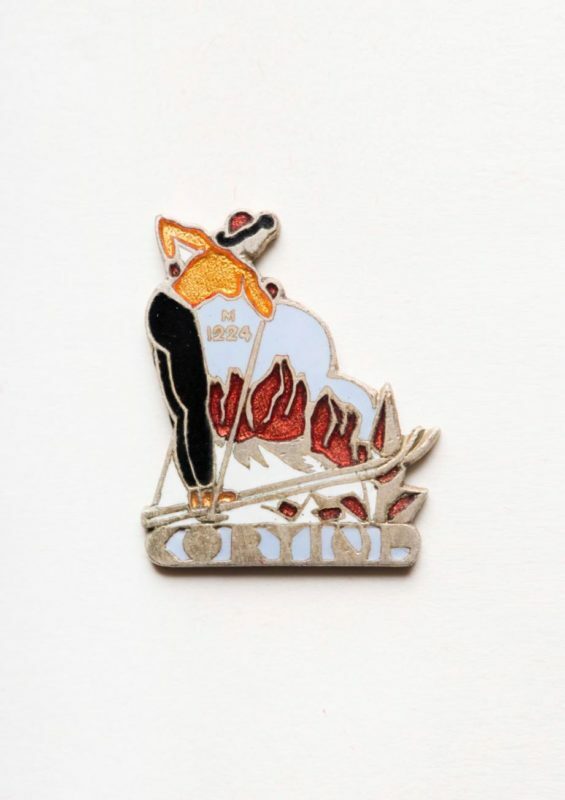 The badge as such is endowed with a backside brooch for attaching to the hat or the jacket; however, the same object can be realized with a small loop for the ribbon in place of the pin. Otherwise, the badge turns into a keyring with a short chain with a clasp instead of the ribbon. Actually, it is not unusual to find the same badge in locked or keyring versions. 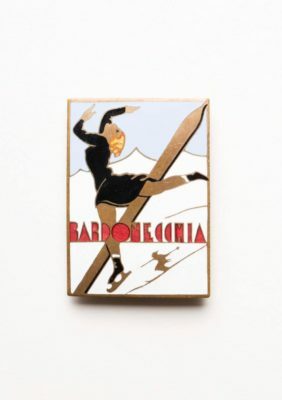 Mountain badges of outstanding graphic quality has been made during the ’40 by Lorioli, Johnson, LABOR, Tacconet, Granero, Landi and Gerosa. Nowadays, the vitreous enamels are no longer used due to the expensive materials and the complexity of the production. The weak enamels have been replaced by synthetic varnishes or acrylics that are shock resistant and fairly easy to produce, but of poorer quality from aesthetic point of view.